The sequel to the hilarious My Life Uploaded. Millie Porter has got everything she thought she wanted. A HUGELY successful vlog with lots of followers and a spectacular boyfriend who creates hilarious yet romantic memes about their private in-jokes at least TWICE a day. Millie’s Mum has also split up with her boyfriend. The ‘Neat Freak’ and his robot vacuum cleaner HAVE GONE! Millie can now create a crumb bomb whenever she wants and eat a sandwich with her celebrity cat in peace. In fact her vlog ‘How to Share Your Lunch with your Cat THE RIGHT WAY!’ has reached her biggest ever audience. The pressure of having to create a great vlog forces Millie to take risks that this sensible girl would normally never do. When Danny tells her that he’s moving back to Canada Millie feels like her new found happiness is falling apart. Everything seems to be changing before her eyes – Former enemy Erin wants to be her best friend, Bradley Sanderson has gone from geek to gorgeous and best friend Lauren says her newly single dad is seeing someone and it’s someone that Millie knows VERY well. What happens when your best friend becomes sort of your step-sister and your mum decides she’s going to start a parenting vlog of her own? Can Aunty Teresa really go back to college and become a nurse? Where is Grandad going every Tuesday and Thursday and is it possible for a cat to realise she is famous and go FULL diva? Millie is about to find out and share it online. 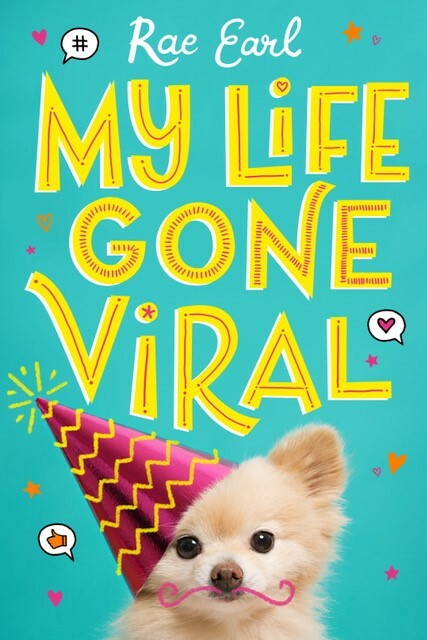 Find My Life Gone Viral at Amazon.